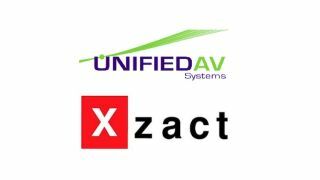 Unified AV Systems (UAVS) has completed its acquisition of Xzact Technologies and plans to merge its operations into the company effective January 1, 2018. Atlanta, GA-based UAVS provides design, engineering, installation, and maintenance services for audiovisual and video communication systems to corporate, education, and government clients. Number 28 on SCN’s 2017 Top 50 Systems Integrators, UAVS has operational offices in Atlanta, Greenville and Columbia, SC, Charlotte, Greensboro, and Raleigh, NC, and Knoxville, TN. An ESOP entity, UAVS is a 100-percent employee-owned company with approximately 140 staff members. This transaction addresses a key element of the UAVS strategic plan to expand beyond pure AV solutions for customers and the ability to provide a full breadth of IT, AV, and other low-voltage capabilities to enhance client operations. Xzact Technologies is a Charlotte, NC-based company providing design, engineering, installation, and maintenance services for infrastructure and network communications technologies to both private and public sector clients. Xzact Technologies has offices and staff in Charlotte, NC, Raleigh, NC, and Columbia, SC.